Bahrain's Ministry of Works, Municipalities Affairs and Urban Planning has secured a £27.9 million ($35.5 million) loan from UK Export Finance (UKEF) for the work on a major water treatment plant being developed in co-ordination with leading wastewater specialist Bluewater Bio. Headquartered in London, Bluewater Bio is an award-winning global specialist in technologies for cost-effective water and wastewater treatment. Its range of best-in-class technologies have been deployed at over 80 sites globally. The British group was awarded a £28.6-million contract by Bahrain's Ministry of Works for the upgradation of the plant, said a statement from the UKEF. The loan has been provided by UKEF to Bahrain’s Ministry of Works under its direct lending facility to upgrade a waste water plant in the Tubli Bay area of the kingdom. 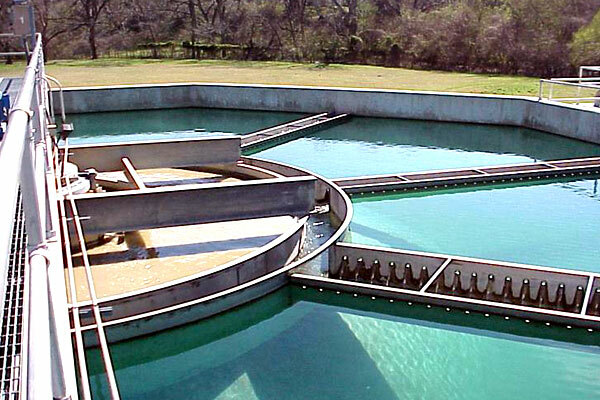 Bluewater Bio’s enhancements follow previous successful work by the company on the plant. UKEF is the British export credit agency and a government department, working alongside the Department for International Trade as an integral part of its strategy and operations. The announcement comes shortly after the chancellor announced an additional £2 billion in direct lending support from UKEF in this year’s autumn budget. The deal follows €450 million worth of support provided by UKEF for healthcare and power provision in Angola. International Trade Secretary, Dr Liam Fox MP, said: "Bluewater Bio is an innovative, company and the continuing demand for its market-leading capabilities shows the value placed on British expertise in the water and wastewater sector across the globe." "It also shows how UK Export Finance’s support ensures innovative businesses like Bluewater can take full advantage of international opportunities as we develop relationships as an independent trading nation," he stated. Fergus Rooksby, the commercial director of Bluewater Bio, pointed out that the government’s support, through UKEF, has played an important role in helping the company secure this second significant contract for Bluewater Bio in Bahrain. "Having eco-friendly technology, backed by UK government support is a winning formula with our ongoing export expansion plans elsewhere around the world. We are delighted the Government of Bahrain has chosen to work with us again as it is a testament to our technology that will benefit the residents and businesses in the Tubli Bay area," he added. Simon Martin, Ambassador to Bahrain, said: "This is an excellent example of the positive impact - in this case environmental impact - of British-Bahraini collaboration. This project has the potential to improve the lives of countless people living, working and investing in the Tubli Bay area."